Click on photos to enlarge Midland Public Schools hockey league has five big games tonight at the Arena Gardens starting at 7 PM. Seen practicing is the Regent School squad. Goalie is Boy Wilson, others are Gerald Wotherspoon, Ken Archer, Vic Dalziel, Wayne Marchant and John Cowie. (Not indicated as being in any order) Representing the “East Side” they will meet the West team composed of boys from Parkview and Sixth Street Schools. The five games are Pee Wee, Junior, Girls, Intermediate and Senior in that order. Thirty five students from the special commercial class at MPDHS prepare to leave on a field trip to Toronto with their teacher Edwin Cable. A number of grade 12 students who plan to take commercial courses were also included. 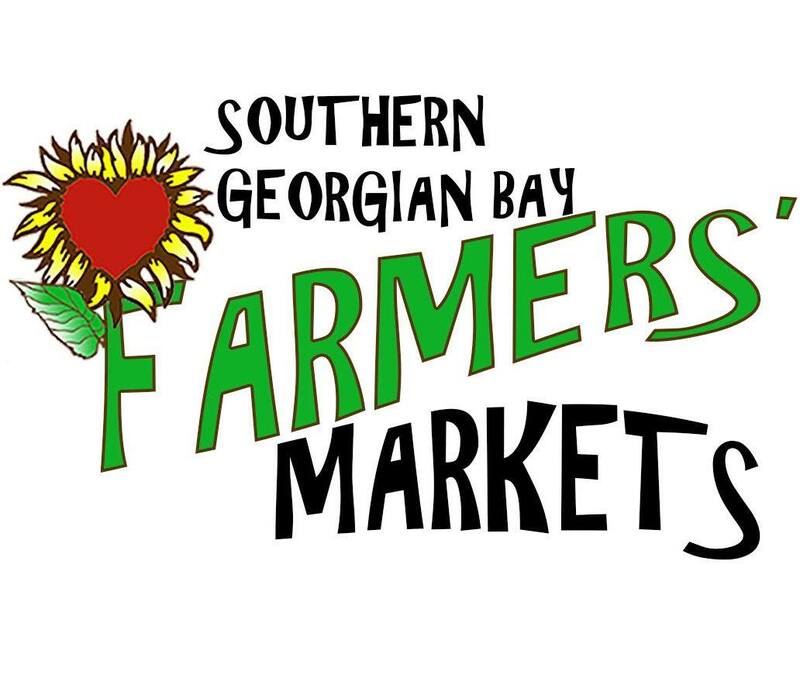 Visits will be made to the head offices of Bell Telephone and Confederation Life Assurance companies. Several of the boys sat in on the recording of the Elwood Glover show at a Toronto radio station. Hardy anglers who probably sat in frozen ice huts all winter, now face freezing water on the dam of the Wye River catching suckers with large dip nets. Good success is reported. New method of keeping ice clear is demonstrated by these bubbles in front of the Town House elevator. Compressed air is pumped at 35 PSI into 400 feet of plastic hose supplied by Midland Industries Limited. Developed in Sweden the method has also proved itself in an Eastern Ontario port. 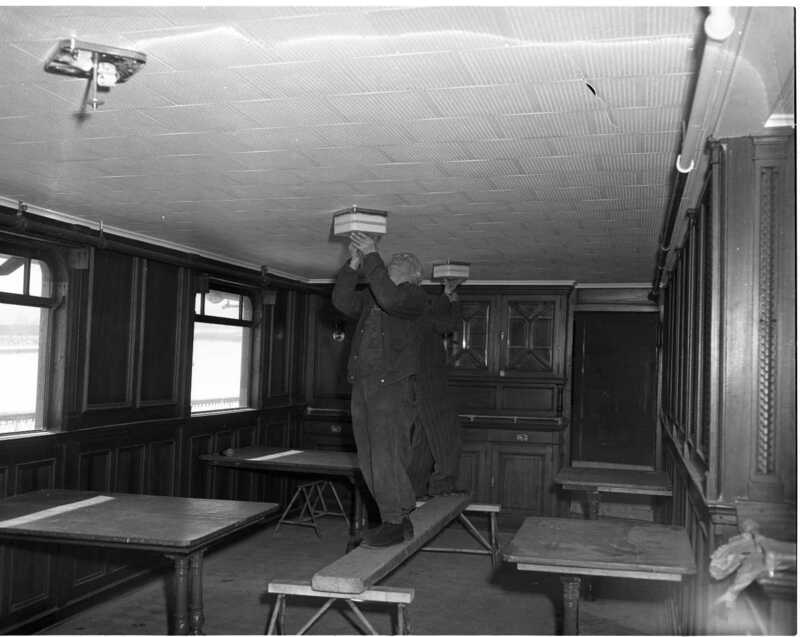 New acoustic ceiling tile and new lighting is being installed in the dining room of the Keewatin. New tile should reduce the noise level in the dining room. Jack “Johnny” Bridges a CPR electrician and Mose Quesnelle, partly hidden, are seen completing the installation. Sure sign of a navigation season about to begin is the smoke billowing from the long idle boilers of local ships. 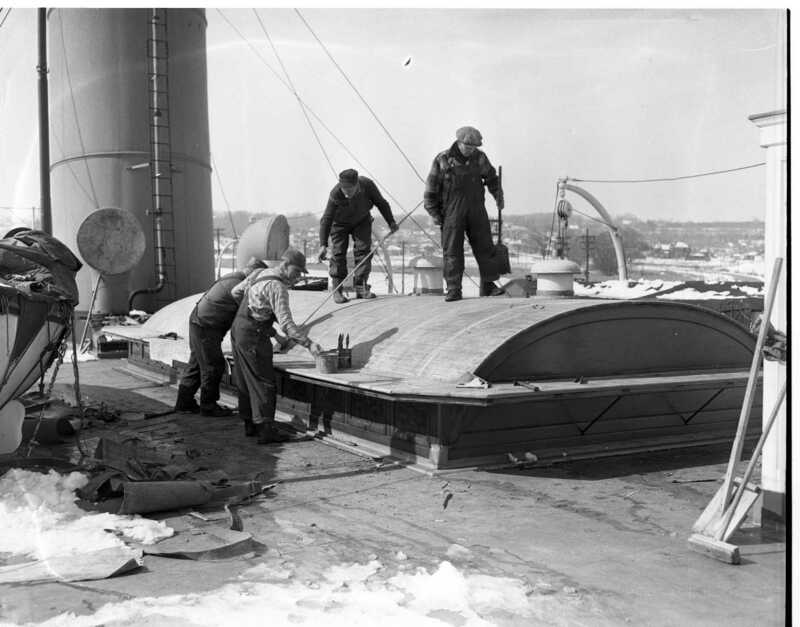 Here work men are replacing a canvas transom cover on the CPR passenger-freight vessel Keewatin at Port McNicoll. 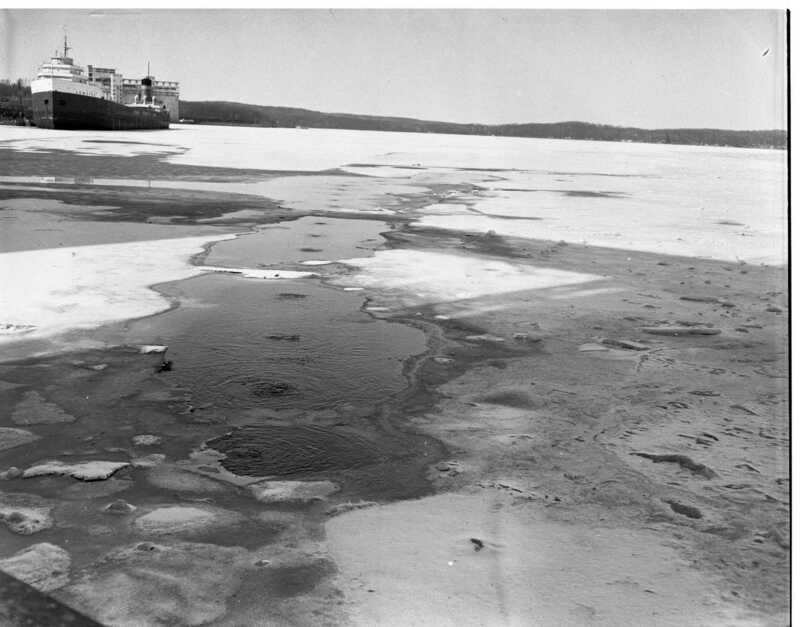 It may be a while before she and sister Assinaboia leave as reports from the Lakehead tell of heavy ice in that area. 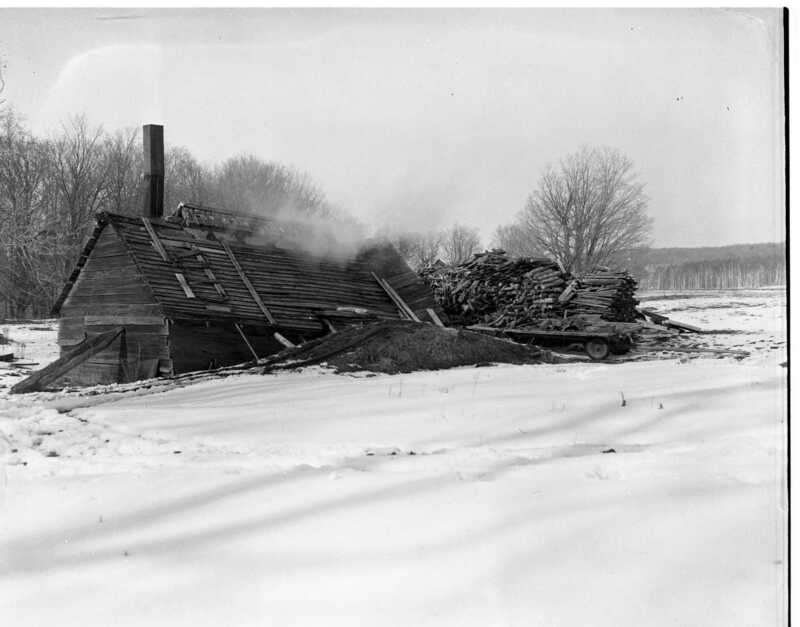 Unmistakable sign of spring is the steam rising from the many maple “sugar houses” in North Simcoe. This venerable building in Tiny Township on Hwy 27 belongs to Arthur Gardiner and has been producing maple syrup for 75 years. It has also been a favourite subject of many artists both professional and amateur. 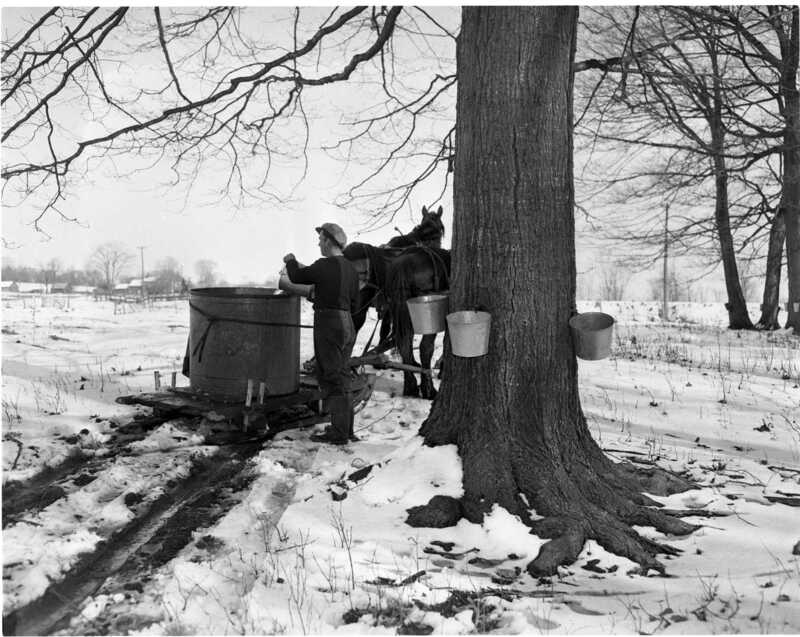 Irwin “Sammy” Gardiner is seen collecting sap for his father Arthur on their farm just south of Wyebridge. Helen Laidlaw is all set for tripping in this sprightly sport ensemble she modelled at the recent Edwards Fashion Show in the Roxy Theatre. Her mauve-blue tweed skirt features side pleating with button trim, and is topped by a dyed to-match wool jersey blouse. She’s carrying a matching blue train case. Anne Shiels provided a glimpse of modern fashion based on the 15th century ‘Loden Plaids’ for the Edwards Fashion Show. This one is ‘Stewart of Appin,’ seen in the new detachable cape suit. 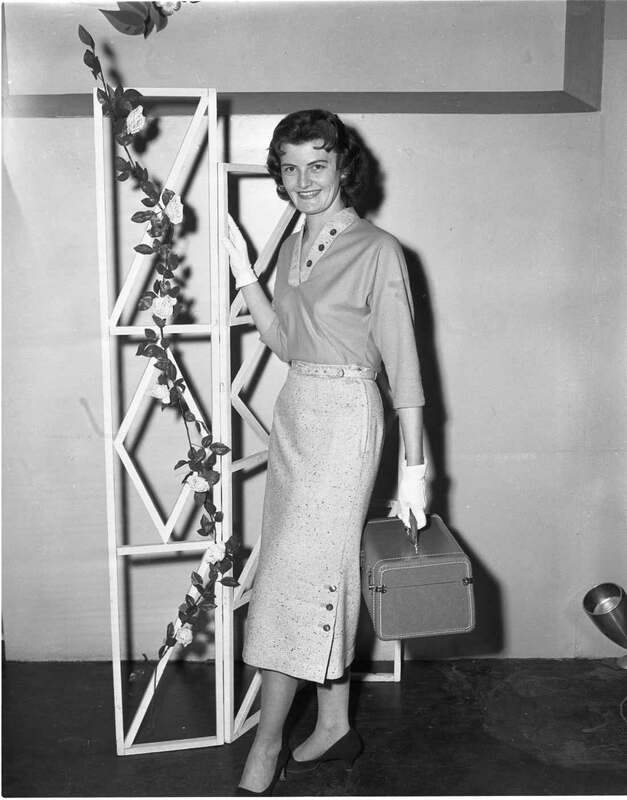 In 1957 TV is taking off. Every appliance dealer and hardware store in the area is selling TV sets from every manufacturer. Many of these names are gone, Dumont, CBS Columbia, Marconi, Admiral, Philco, Emerson, Zenith and RCA. Leaders of the fund-raising campaign for the Midland Community Concert Association pictured at their kick off dinner Monday night. Front; Mrs. Ken J. Ellis, Mrs. William E. Hannah (Joan), Miss Margaret Johnston. Back row; president Ed B. Kendall, J. Stuart Nall and Jack Doughty. Last big curling event of the season is the 8th annual mixed spiel held at the Midland Curling Club. The two rinks in the finals for the Orr Trophy are pictured. 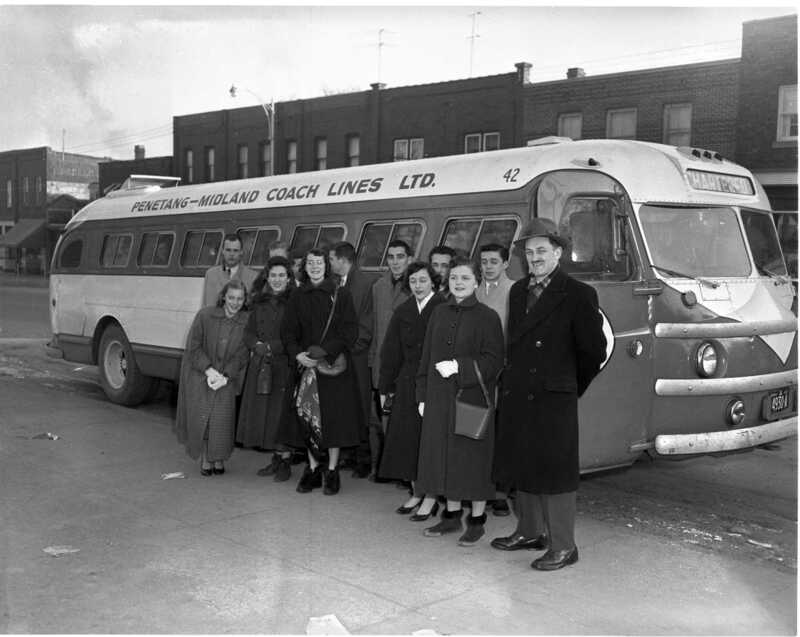 Midland rink; Mrs. Stan Burton, Stan Burton, Mrs. Jim Thomas and skip Reg Mulligan. 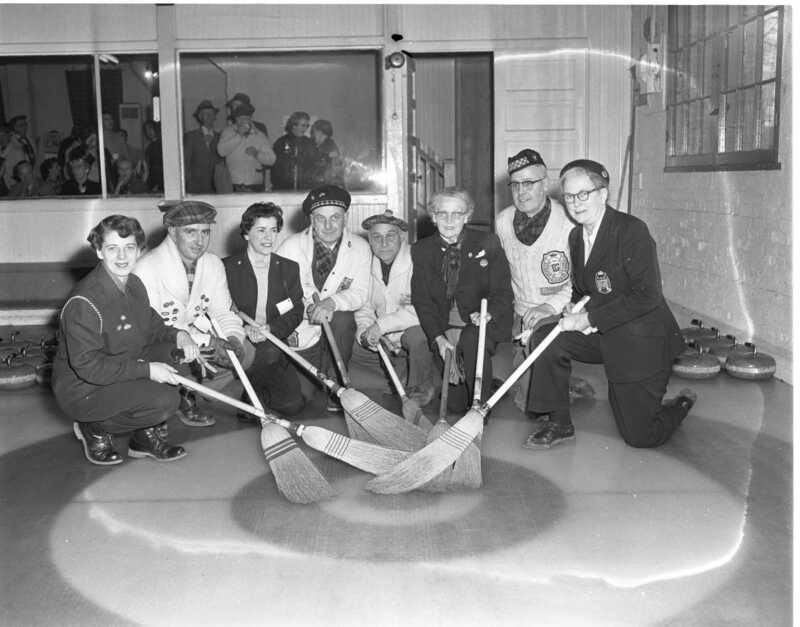 The winning rink from the Toronto Granite Club is C. H. Bereton skip, Mrs. H. McCallum, George Stronach and Mrs. H. Whittldon. Final score was 12-7. For the first time ever, Tay Township has a building by-law. The bylaw decrees that building permits must be obtained from the township building inspector for the erection of new buildings, and repairs, alterations, additions or building removals which exceed $200 in costs. New homes cannot be less than 500 square feet on the ground floor. OBITUARIES – G. STOTT – A well-known Wyevale resident, William George Stott, died March 3 in St. Andrews Hospital, Midland, after an illness of about nine days. Funeral service was held March 6 at his home with interment in Wyevale Cemetery. Rev. W. A. Glazer officiated. Pallbearers were Victor Stott, Wallace MacDonald, Cecil Blow, Cecil Marcellus, Albert Bell and Jack Whitton. Mr. Stott was born July 28, 1870, in Innisfil Township. He lived for 13 years in Stroud, three years on Con. 7, Tiny, and spent the rest of his life on Con. 6, Lot 13, Tiny. **** JOHN LARMAND Victoria Harbour – John Larmand, a highly esteemed citizen of this village for many years, died in St. Andrews Hospital, Midland, March 15 following an illness of several months. Mr. Larmand had one leg amputated 19 years ago and on October 1956, the other leg was removed. Pallbearers were Albert Savage, Fred Paris, Kenneth MacDonald, Herman Dault, Jas. Burgie and Oliver Geroux. Mr. Larmand was born in Perkinsfield, August 12, 1887, and came here with his parents at an early age. He had been a resident here for the past 64 years. He was married to Dehlia Arbour who pre-deceased him, and in 1925 he married Margaret Geroux. *** MRS. JOSEPH KENNEDY Funeral service was held March 18 for Mrs. Joseph Kennedy who died March 14 at her home in Port McNicoll. She was 55. Service was held from the Beausoleil funeral home, Penetang, to Sacred Heart Church, Port McNicoll where mass was celebrated by Rev. F. E. Sullivan. Pallbearers were George Burns, Joseph Connelly, Mike Tersigni, John Bell, Charles Moreau and John Clark. 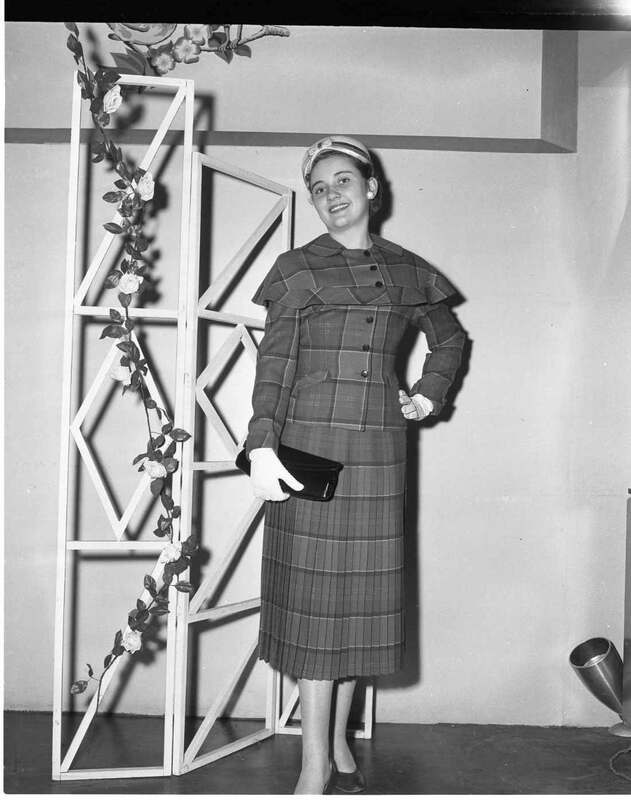 Mrs. Kennedy, the former Celina Legault, was born in Port Severn, January 28, 1902. In 1926 she married Joseph Kennedy at Penetang, and had lived in Port McNicoll for the past 31 years. According to town office statistics, Midland’s population is now 8,115, an all time high. 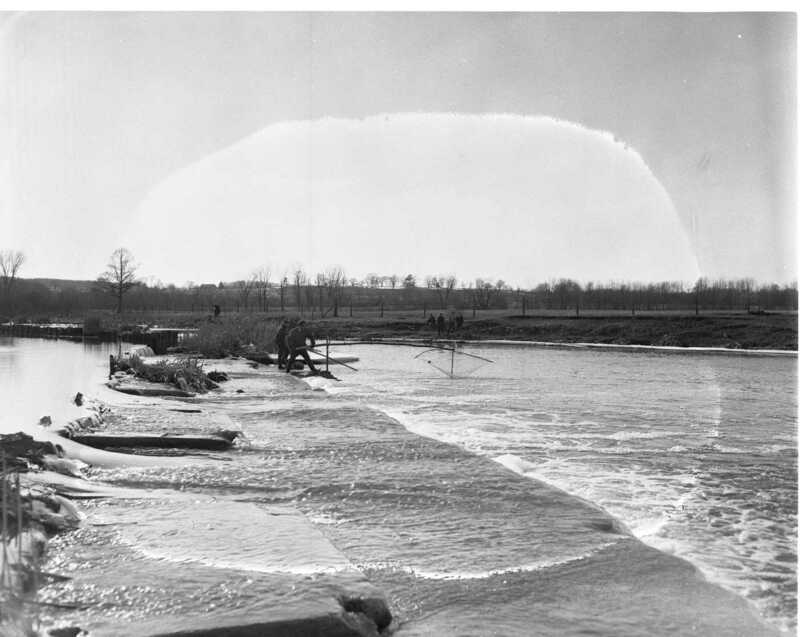 At one time it was larger than Orillia or Barrie. Midland – Penetang District High School Board management committee and teachers have reached an agreement on wages. New basic wage scale is as follows (with original board offer in brackets): non-specialists, $3,700 (unchanged); specialists, $4,000 ($3,900); department heads, $4,300 ($4,100). On the old salary scale non-specialists received a minimum of $3,400, specialists, $3,600 and department heads, $3,800. The new salaries, which go into effect Sept. 1, 1957, mean a $600 increase per teacher—$300 increase in minimum salaries and $300 annual increment. In addition teachers receive $200 per year for each year of teaching experience up to a maximum of $1,400. Total salary bill for teachers last year was $133,400. The new salaries will mean an approximate $19,000 Increase. List of officers for the two Canadian Pacific steamships Keewatin and Assinaboia, for the coming season, is preponderantly dotted with names of district sailors. Names of the officers were supplied to this paper by S. F. Malin, superintendent of the CP’s Great Lakes Steamship division. A Port McNicoll man, Capt. A. Campbell, succeeds Capt. Joseph Stewart of Victoria Harbour as master of the Keewatin. Other Keewatin personnel include; T. Swales, Port McNicoll, 1st mate; J. L. Delahey, Victoria Harbour, 2nd mate; L. McClung, Midland, 3rd mate; W. F. Irvine, Port Arthur, chief engineer; A. O. Rice, Port McNicoll, 2nd engineer; Elmer Yon, Midland, 3rd engineer; R. C. Rother, Port McNicoll, 4th engineer; W. A. Paxton, Galt, purser; H. W. Arbour, Victoria Harbour, chief steward; W. Graham, Port McNicoll, 2nd Steward. Capt. Ernie H. Ridd of Midland is again named master of the Assiniboia. His mates are R. W. Jarman, Victoria Harbour; W. J . Estey, Midland; and K. Guthrie, Elmvale. G. A. Gervais of Victoria Harbour is the chief engineer. The rest of the engineers, all from Victoria Harbour, are U. J. Lefaive, G. J. Garneau and Amos Mateff, M. C. Tracey, Port Arthur, is the purser, with Roy Smith, Aurora, as chief steward, and J. Slanisky, Port McNicoll, 2nd steward. NURSES MAKE 1,737 VISITS TO HOMES – Simcoe County Health Unit nurses made a total of 1,737 home visits during the past month, a health unit report states. The visits included 198 to infants under one month, 320 to infants from one month up to a year old, 451 to pre-school children, 193 to school children, 56 to expectant mothers, 203 to mothers of new infants, 36 to tuberculosis cases and contacts, 23 to acute communicable diseases cases and contacts, and 23 to orthopaedic cases. 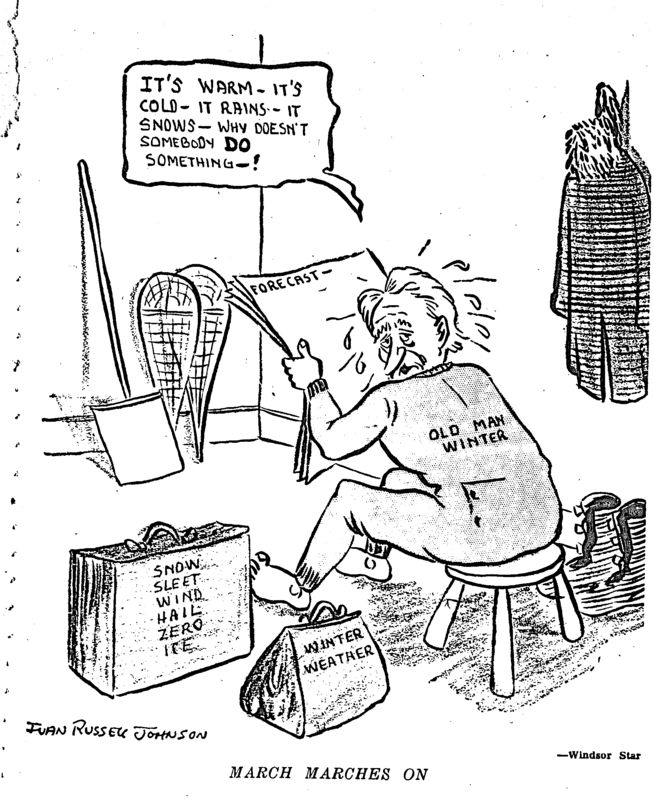 25 YEARS AGO THIS WEEK 1932 – Influenza swept through the province of Ontario, missing very few communities. In London alone the cases numbered into the thousands. Most severe cases reported were in the Welland area. *** The steamer Midland City, veteran of many 30,000 island cruises, was improved by the installation of two new diesel engines, replacing the old steam power plant on the ship. *** One of Hillsdale’s oldest landmarks, the Globe Hotel, was destroyed by fire. *** C. E. Nettleton moved his drug store to the building formerly occupied by the Ritz Restaurant. Damaged in a fire a few months previously, the store was to be remodelled into one of Midland’s most modern. *** Midland hockey team won the Georgian Bay trophy by defeating their long-time rivals, Collingwood, 3-2 on the two game round. 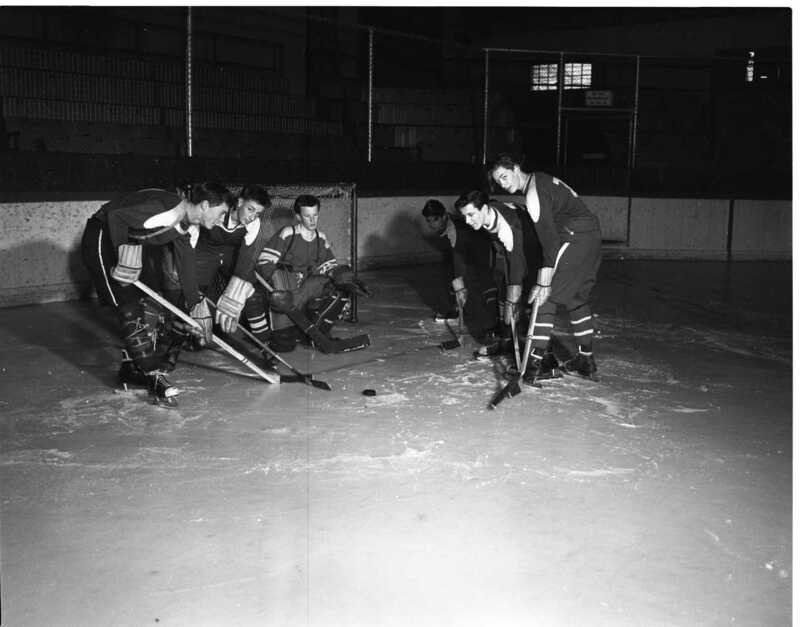 Some of the team members were Alf Brodeur, Ed MacDonald, Carleton, Dobson, Thayer and G. Brodeur. *** Beds were quickly set up in halls and sitting rooms when St. Andrews Hospital’s 30 beds could not handle all the “flu” patients. Fifty beds were filled. *** As a result of a meeting with a Toronto radio station. Midland businessmen decided to broadcast over a 10-week period, advertising the tourist attractions of the town. So many improvements are being made in Geiger counters and other types that officials have discussed the possibility of shooting them to the moon, where they might operate through automatic transmitter stations to indicate how strong the cosmic, radiation is up there. Thanks for putting this on Facebook one name has meaning to me which is Joseph Stewart would like to know more about this man. Joseph, Thank you for your comment on our recent posting and the reference to Captain Joseph Stewart. 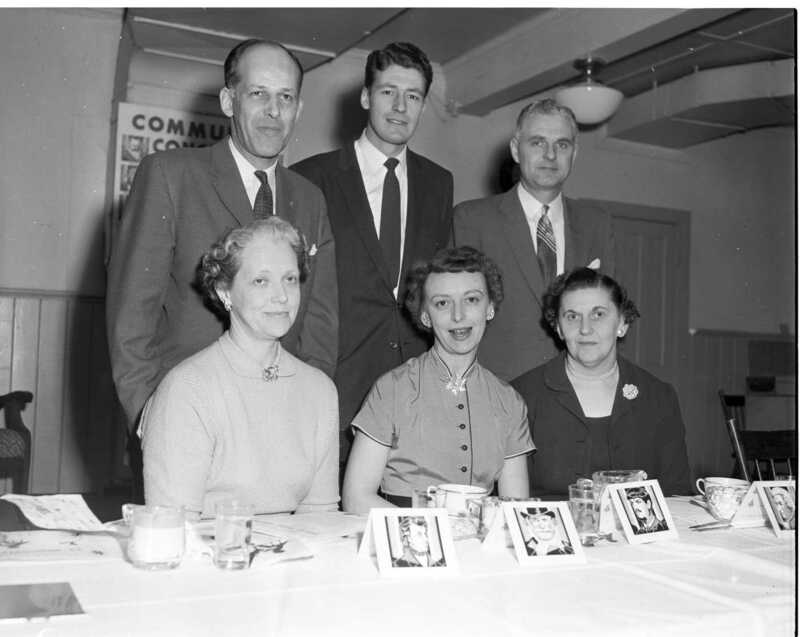 We have several photographs from the Free Press collection regarding the retirement of Capt. Stewart and there will be an article in the newspaper documenting his retirement at the end of 1956. Unfortunately we do not have that article in a digital format to share with you but it can be viewed on microfilm at the museum. In the archive we also have a photo of the Victoria Harbour graveyard showing the first monument, that being Joseph Stewart, aged nine, son of Mr. & Mrs. David Stewart, 1880. Hello Tom. Could you add me to your “looking back” email dist’n? Thanks for your comment and interest. If you scroll to the bottom of each post, you should see a follow button. If you click that, you should get an email every time there is a new post. Let me know if you have any difficulties or questions. I couldn’t find the “follow” button, Sarah.